← Dilbert on Social Media at Work = Handy Humor? Happy Holidays from Kakie – and Bur Bur and Friends! Many of you know I co-write an award winning series of children’s books that plants seeds of self-esteem in children through educating them about sports and outdoor exploration. My dear friend and business partner, JoAnne Pastel co-created and co-authored of the series. Just for you and it’s been fun. 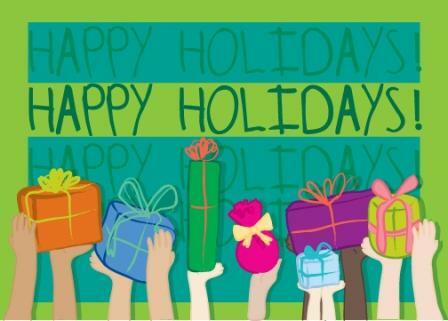 In the spirit of the seasons, we want to extend wonderful holiday wishes to all of you. We are grateful that you continue to come along with us on our journey. Bur Bur and Friends was created to inspire kids to discover their talents and self-esteem through true life experiences we like to refer to as “real moments.” This time of year can be a reminder for us to count our blessings as we see the magic through the eyes of a child. At Farmer’s Hat Productions, we have been thankful for your ongoing support and look forward to sharing many more of those real moments together with you and your families.